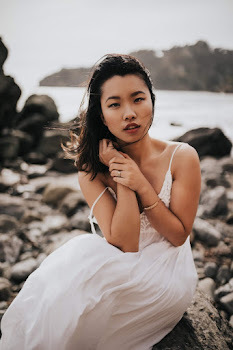 Today's post I wanted to talk about how I believe in community over competition and how it is a beautiful when creatives can come together in support as well as encouragement for one another. In the photography industry or anything that has to do with being a creative, it can be intimidating and sometimes lonely. When my friend and fellow photographer, Jana Contreras invited me to a photographer get together and dinner at Elise's home, I didn't hesitate to say yes. You see, this is what I wish the community was all about, coming together for some smiles, laughter, conversation, and most definitely, food. If you guys didn't know, I met Jana through Instagram and we became fast friends. We would hike together, get frozen yoghurt on occasion, as well as conversed about our frustrations and our successes. Not only that but she was one of the few photographers in the area who was open, caring, and such a sweetheart. I haven't met our other host for the dinner party, Elise Aileen until yesterday evening but let me tell you, she was inviting, just as sweet as I thought she would be, and an absolute angel for inviting all of us into her home. I loved the summer vibe and all the Puerto Rican food, which Jana's husband Eli cooked for us! Seriously, thank you ladies for setting this up and I'm looking forward to many more. Did someone say cheese platter? Yes, please. Elise's crafty husband built this beautiful "squat table" Can I order one? I am in love. 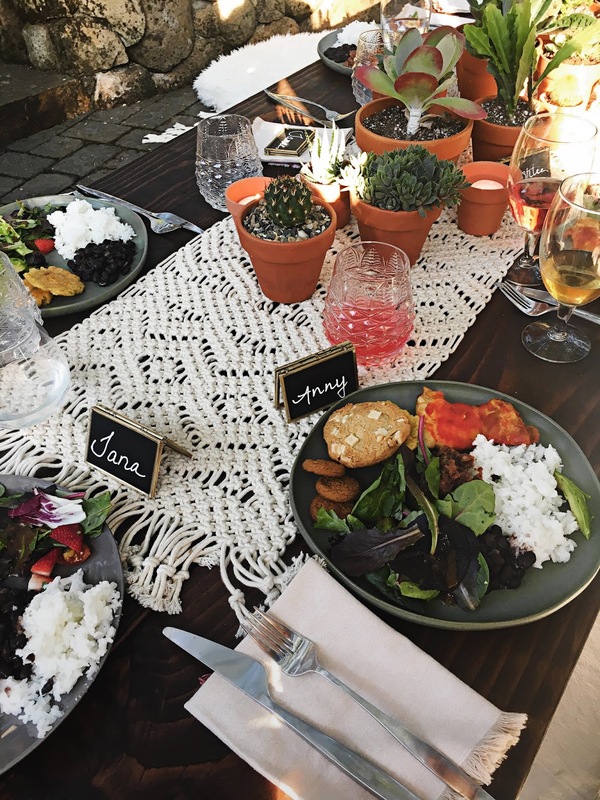 Good food, great company, and such a cute setting. Growing up, I was super competitive as I played tennis among other sports. Naturally I wanted to be the best and do my best in every thing, whether it was my grades or completing a task my parents would assign. Either way and in whatever situation, I was taught to always be kind, to be the best person I could be, and to ask for help when I needed it. I am where I am now because of all the mentoring and advice I have received throughout my journey. The truth is, this industry can be lonely sometimes so it's great to meet people who have a similar mindset and want to see other people succeed. I honestly believe there's enough room for all of us. We all have different styles, different approaches to how we shoot, how we may run our businesses, and we are all wonderfully unique. To me, community over competition means acknowledging that life isn't about being "the best" but about being the best you. Lifting each other up, supporting one another, and being helpful. I have built wonderful friendships with a few photographers over the years. You know what rocks? Let's say I'm unavailable to shoot for a potential client, I now have a list of trusted photographers who I can refer them to and oftentimes my photographer friends will refer their potential clients over to me. They can succeed and so can I. Please take a moment to check out all these incredible women who attended last night's dinner. 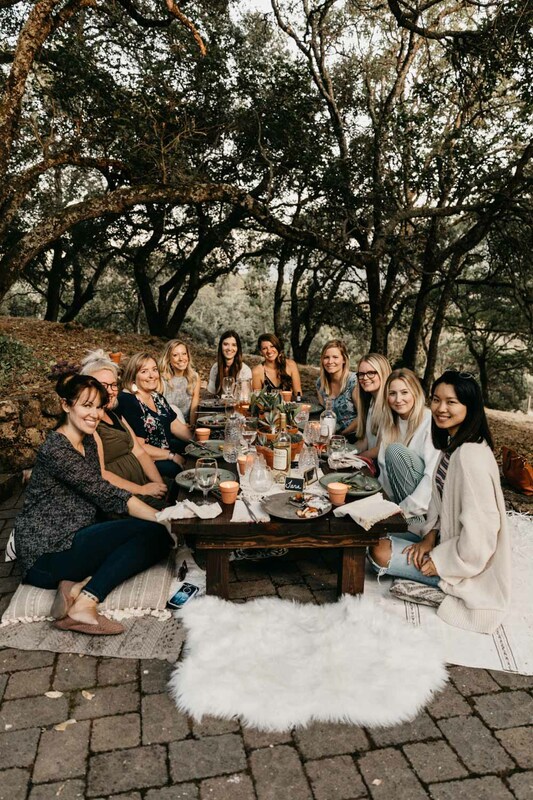 Also, if you're a local to Sonoma County or Bay area and would love to come to the next dinner party, feel free to reach out to either Jana or Elise. They're rock stars and such an inspiration to be around.